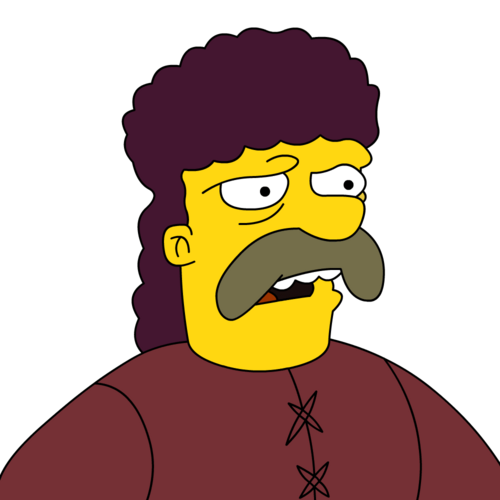 Jebedia Springfield is the founder of Springfield on the Simpsons. His original name is Hans Sprungfeld. Hans was a horrible blood thirsty pirate that tried to kill George Washington. He needed to hide out, so he did what any man would do and hid his upper lip with some hair and then no one figured out who he really was until an 8 year old did some research hundreds of years later. By that time the steesh drug had set in and no one really cared because he looked so good. This entry was posted in Animated Steesh, Criminal Steesh, Fluffy Pushbroom Steesh, The Simpsons Steesh and tagged george washington, jebedia, pirate, upper lip on February 8, 2012 by Los Bulls.